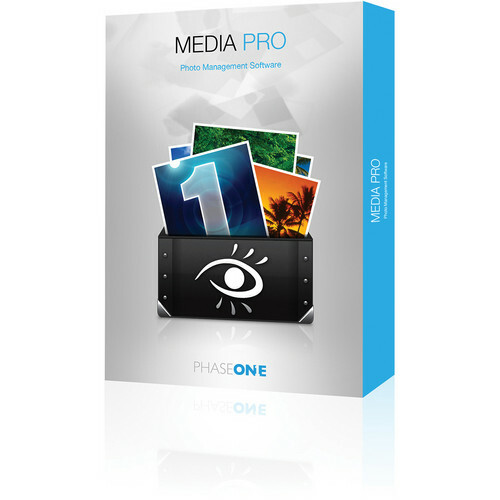 Media Pro 1 from Phase One is a professional photo management software program that's built to handle extremely large digital libraries with thousands of JPEG, TIFF, and even RAW files from several cameras. Media Pro offers fast importing of large volumes of photos, easy-to-use tools for organizing and annotating photo files, and several ways to showcase your work – including interactive, customizable web galleries and high-quality contact sheets of any size or layout. Media Pro draws much of its power from its ability to speed your workflow. Large preview images are automatically generated once you import files, and you can even magnify and evaluate RAW images instantly with correct colors. The software is adept at finding files anywhere, and then keeping track of them once you shuffle them around to different file directories and drives. You can batch-convert a huge group of files to new file formats or rename an entire folder at once. Built-in backup and archiving features protect your photo files like the professional assets that they are. With XMP support, Media Pro functions as a highly capable digital asset management program – adjust your photos in your favorite editing software, and Media Pro doesn't miss a beat.